On the long list of to-do items most women carry around in their heads, taking care of their feet may not be a very high priority. Until they start to hurt. Sure, the occasional pedicure makes for a pretty presentation, but it's what's going on in the complex biomechanics that really matters. And that's also where trouble can start. Spokane podiatrist Dr. Borys Markewych explains a long list of ailments that plague his clients' hardworking feet: hammertoes, bunions, arch problems, heel pain, corns and calluses. "All of these things are mechanically oriented toward the foot structure and the shoes people wear. It's a combination." says Markewych. For most ailments, early treatment is better than waiting. Bunions, caused by abnormal motion of the big toe over many years, continue to get worse over time. They disproportionately plague those with flat feet. Symptoms — an increasing bone bump, pain and redness — mean it's time to look at treatment. Hammertoes, also caused by inherited biomechanics, are more often found in people with high arches. 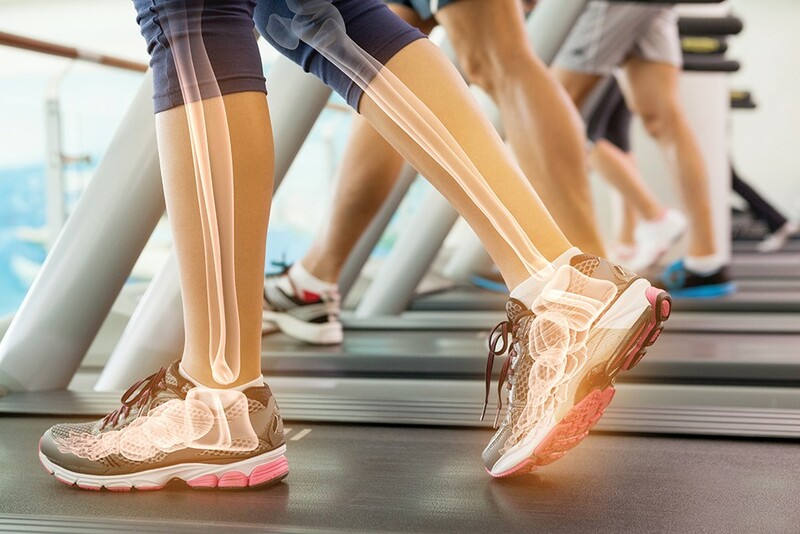 For both, relief from pain can come from properly fitted shoes and orthotics. Markewych, who says that surgery can correct both bunions and hammertoes, performs a minimally invasive version that quickly gets clients back on their feet: "Our recovery time is quicker in most cases, with less complications." Corns and calluses are also the result of underlying bony structure issues. But there's good news: "Proper-fitting shoes can eliminate corns and calluses by taking pressure off the bone spurs," Markewych says. Flat foot syndrome is a common issue; for the past 10 years, it's been treated with an FDA-approved implant. "It's got about a 93 percent success rate. It can help with knee strain, hip strain, lower back problems," says Markewych. The side benefits: correcting the arch can translate into reduced knee, hip and back strain. As for exercising your way out of these types of foot pain, Markewych is skeptical, coming back to the issue of the inherited biomechanics of the foot. When asked about the barefoot movement, he responds, chuckling, "How do you walk without shoes in the wintertime? If we all lived on a beach, we probably wouldn't have as many foot problems." But that's not the case. And for many people with flat feet, walking around barefoot on hardwood floors means they "are going to have some pain." Fungal nails are another problem Markewych sees regularly and one that can be treated topically, with various creams and lotions, or with a laser. The laser treatment is not covered by insurance and has to be repeated several times at one-month intervals. Fungal nails are mostly a cosmetic issue, but they can become painful if not treated. "Feet are unique, just like people. They come in different sizes and shapes and thicknesses," Schielke says. That's why her shop stocks a variety of brands and styles that have one thing in common: they're designed with the foot's anatomy in mind. But that's where the similarities end. For fall, manufacturers are playing with texture: think leather that simulates corduroy or hand-burnished effects, as well as color and bling — prints, embellishments and embroidery. And color is back. Weather-resistant suede is appearing in a range of hues, from deep wines and reds to olive greens and blue. While heel heights should remain at two inches or less to minimize aggravation of forefoot issues, there are options for those who want to gain a little height. "Platforms seem like they would be uncomfortable," says Schielke, "but they are very stable, and your foot is not at such a pitch." For those looking for a chic, pointy toe, Schielke singles out Vionics pumps with built-in arch support as a good option. Boots are also getting a healthy makeover, some featuring wider tops to accommodate "athletic calves." Winter's ice and snow mean that the risk for falling goes up, but not if you're wearing a boot with a "convertible, built-in traction system," says Schielke. "There are ovals in the heel and ball of the foot. You pop it out, rotate it, put it back in, and those are your spikes." As an occupational therapist, Schielke makes sure the shop stocks shoes that are easy to don for customers who may have dexterity issues. These are not the Velcro shoes of yore: "Velcro is very stylish now. It looks nice, and is a better quality today than in the past."